The original Rock Slide is made of plain brass, which is preferred by many musicians because of its rich, warm tone & golden glow. 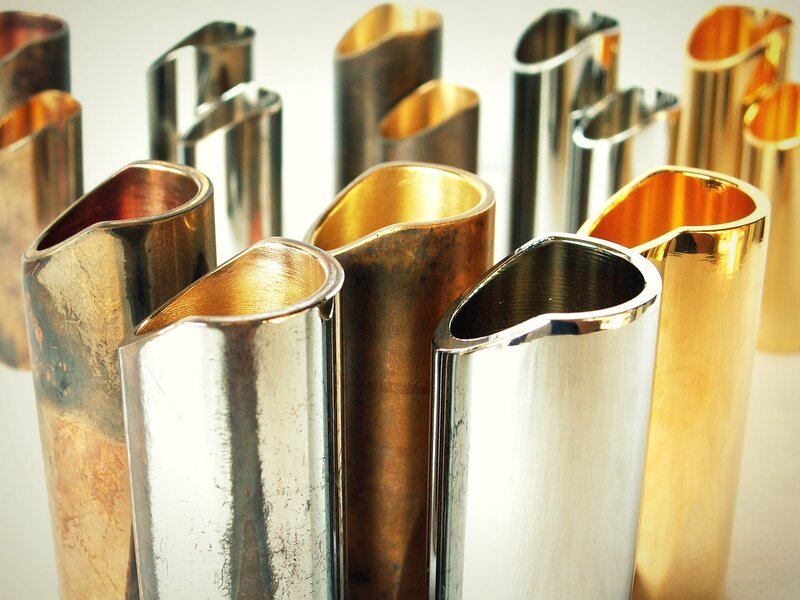 Nickel plated Rock Slides will naturally age over time like a vintage guitar with nickel parts. They produce a tone that is a bit darker than the chrome plated slides, and slightly brighter than plain brass. Limited Edition Chrome plated Rock Slides are the brightest in the family. They have a true showroom grade triple plate chrome finish, which is much harder than nickel or brass. 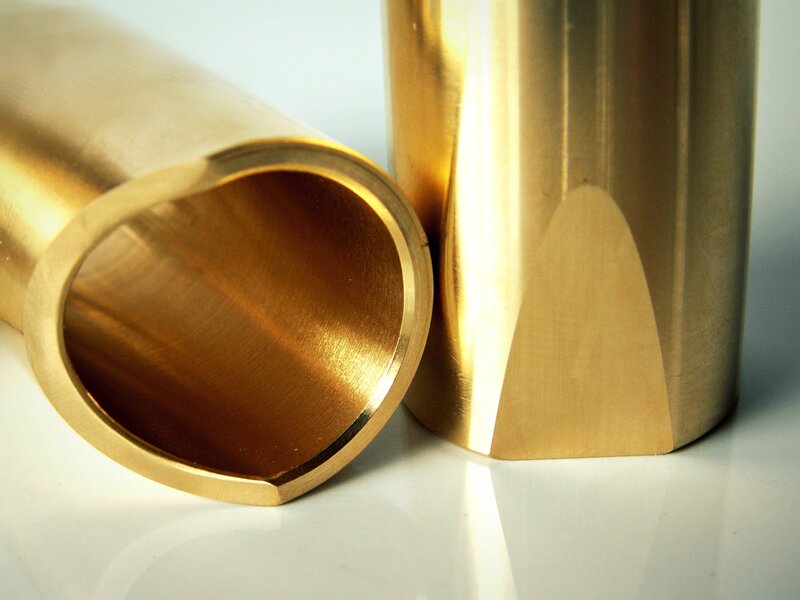 Like all Rock Slides, they feature the tapered interior, knuckle cutaway and flat finger rest, and are machined out of solid brass. If you are into tweed and worn out looking gear these are for you. Tonally they sound like a standard brass Rock Slide, but they resemble something from the bottom of the Bayou. We individually hand age these using a multi-step recipe of destruction. They have a perfectly smooth finish for playability. Aged Nickel Rock Slides appear to be pulled from the hull of a 1700’s shipwreck. Aged in the way you might age replacement tuning pegs or pickup covers that are to be installed on a vintage piece, but on a more extreme level. These have a perfectly smooth finish for playability.